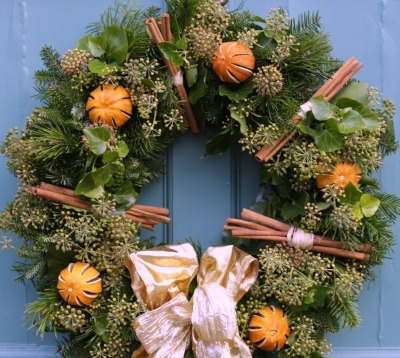 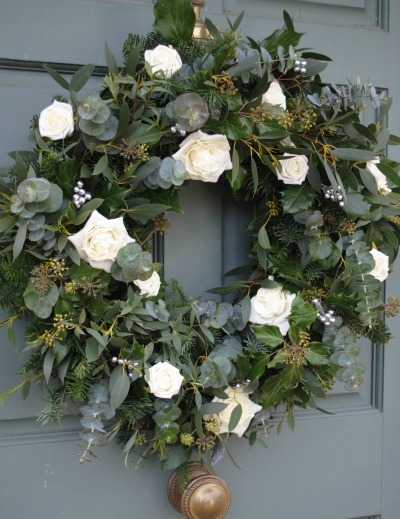 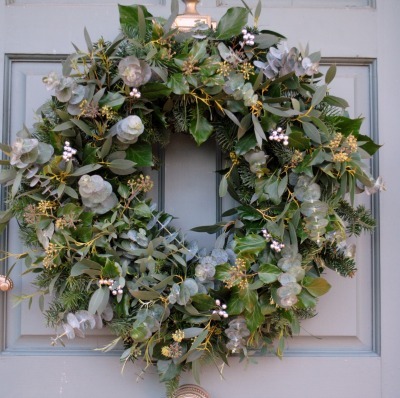 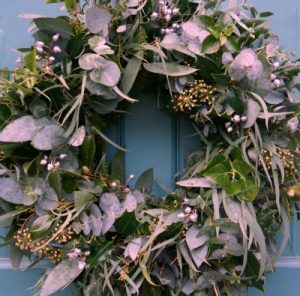 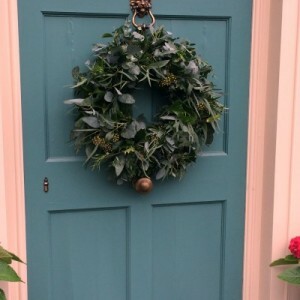 This elegant wreath contains a mix of Noble, Fraser and Douglas firs, at least six eucalyptus varieties (please see our Raw Materials page), camelia when available, and wild holly and ivy. 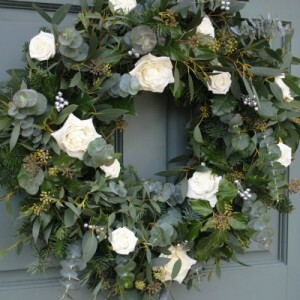 There is a choice of gold or silver berries with this wreath, and white foam roses can be added on request. 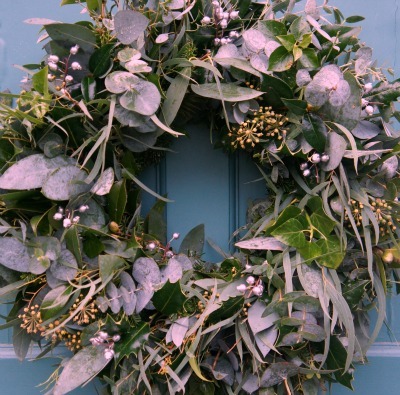 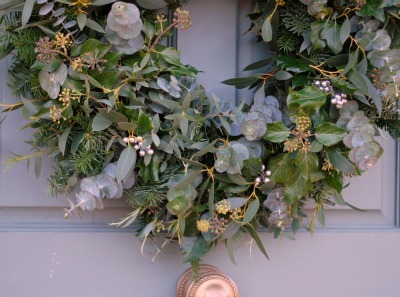 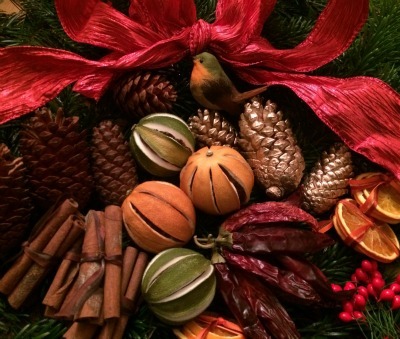 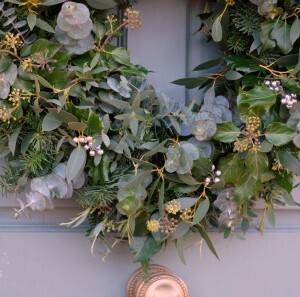 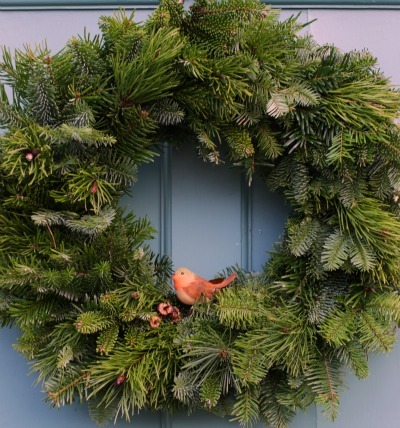 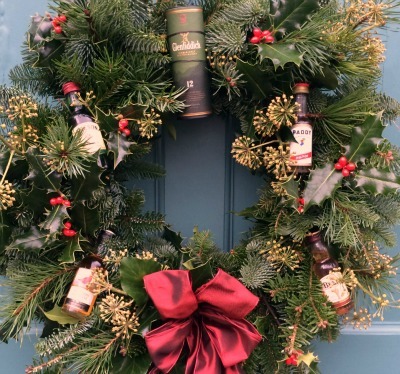 This wreath is made on a moss base, and the greenery is 100% organically grown and wild.